With the Easter holidays fast approaching, now is the time to organise a fun day out for the kids. A full day of paintball action at Delta Force is every kids dream. Watch their faces light up as they roam the woods with their mates knocking off the enemy one by one. Delta Force Paintball is the world leader in paintball games and we entertain hundreds of children’s paintball parties around the world every weekend. Our equipment, facilities and safety standards are second to none, and we have over 20 years of experience in organising the very best kids days out. Why not join in with the kids and have some fun yourself. Paintball is an excellent activity for the whole family and by the end of the day you’ll have enough war stories to last a lifetime. 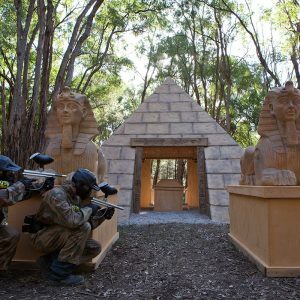 Imagine you are hiding behind a giant stone sphinx, your teammates flanking to the left and right in support, and you spot the enemy hiding in the centre of the giant pyramid. You focus your aim, steady your paintball gun and fire to defeat the enemy and win the game! Even though all players have an amazing day at our paintball centres, it is your safety that’s our paramount concern. 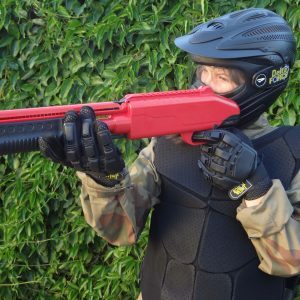 We have invested in providing all players with top-of-the-range equipment and have implemented various Delta Force initiatives to provide you with the most comfortable paintball experience possible. Minimum ages do apply and this varies from state to state. 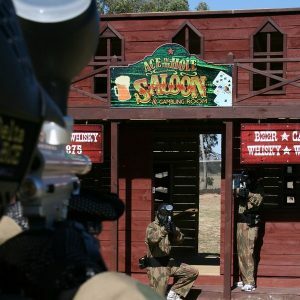 At present the minimum ages to play paintball are 18 years in Victoria, 16 years in NSW and ACT, 15 years in Queensland, 12 years in Western Australia and 10 years in South Australia. Delta Force is backing the petition by the Australian Paintball Association to lower the minimum age in New South Wales and Victoria to 12 years of age. This minimum age reduction would bring it in line with other states in Australia and countries around the world. It would also enable more children the chance to play paintball in a safe and controlled environment. 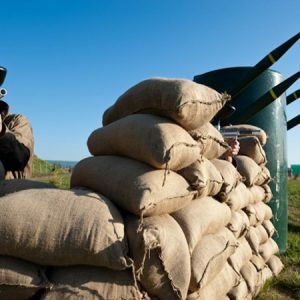 Paintballing events on the Easter long weekend are filling up fast so please contact us today to book your place. Call our booking office on 1300 850 744 and speak with a friendly event coordinator today.